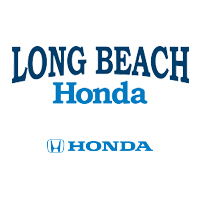 At Long Beach Honda, our certified technicians are here to make sure your car is always as good as new. From oil changes to transmission replacements, we guarantee your vehicle is in the best hands. Whether you need something fixed on your new, or pre-owned vehicle, we are here to help. Please use the buttons below to schedule a service appointment or contact our service department. We can be reached by phone at 562-999-5830. Some car dealerships just want to get the sale, and then move on. Here at Long Beach Honda, we care about more than just the sale of a car. We want to make sure the car you bought, whether it was from us or not, is functioning as well as it can. We want your vehicle to run for as long as possible, and we’ll help fix it at an affordable price. Our technicians know everything working with Honda vehicles, and are sure to know exactly what your Honda needs. Don’t trust your car in the hands of just anyone, trust our experienced staff here at Long Beach Honda. From normal maintenance, to that clanking sound that you can’t identify, we’re here to help.